Senator Shane Ross is constesting the general election in Dublin South as an independent candidate. 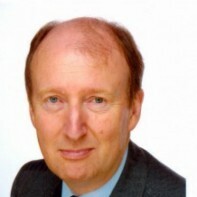 Ross, who is currently the business editor of the Sunday Independent, has been a Senator since his initial election to the body in 1981. He recently co-authored the book "Wasters" which examined financial mismanagement and overspending in Ireland's public sector. Ross is married to Ruth Buchanan, presenter of RTE’s Playback, and they have two children.